Broomfield Barns have three separate self catering facilities on offer. 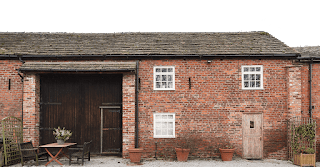 The barns are an excellent base for those who want to explore the Derbyshire Hills, stately homes and beautiful gardens throughout Cheshire. Broomfield Barn has 3 bedrooms and is perfect for families. It has a spacious family room with an open fire, snooker table & ample seating, perfect for entertaining. The Gallery Flat is perfect for two, and is conveniently located across the road from Colonter Theatre. Midgebrook Barn has been newly converted & is ideal for keen cyclists, with the Cheshire Cycle Route running past the driveway.